Your private donation will ensure that every single recipient child on the name list receives a Santa Shoebox. Remaining donations are channeled through SSB Legacy, where the funds are used to uplift the communities in which the beneficiary children live. All operating expenses are covered by corporate donations. If you would prefer to donate via credit card, please click here. As a Level One Contributor to B-BBEE, SSB earns 100 points on the generic scorecard, and with our Section 18A status, is also able to provide a tax-deductible receipt in recognition of your donation. The Project is an initiative of the JOG Trust (IT2671/2009). The Trust is registered as a Public Benefit Organization (PBO-930031301), and a Non Profit Organisation (NPO 102-098). 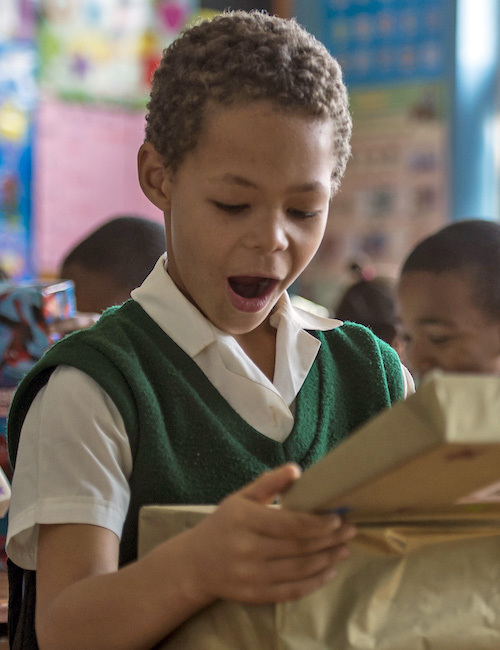 If you are resident in South Africa and would like a tax deductible receipt issued for your donation, please send your request to donation@santashoebox.org.za with proof of donation attached to your e-mail. Please also provide your full name, your physical or postal address and the e-mail address to which the receipt must be sent. As we would really like to acknowledge your support, please consider registering as a donor so that we can keep you informed about our project. Thank you for supporting the Santa Shoebox Project.